Have you ever paid for food and drinks in corks? At YNot’s Friday Corkathon, they are the one currency that counts. One cork equals one glass of classic wine, two corks equal a glass of premium wine. Bottles of classic are available at four corks and premium bottle will cost you eight corks. 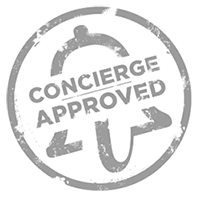 As a myconcierge member, you can enjoy a delectable cheese platter, a platter of charcuterie and unlimited tapas plus your wine selection worth seven corks instead of the regular six. It’s a simple equation really and ads an element of playful fun to your Friday brunch. Within the UAE, it is illegal to serve alcohol to anyone under the age of 21 years old. Table bookings can't be guaranteed if guests arrive later than 30 minutes from the booked time. The restaurant reserves the right to refuse service. 72 hours before the experience scheduled or no-show: no refund. The refund will be made within 20 working days by crediting the credit card used for booking.